The band has released his new album Things to come through Suspiria Records. Mixed at Danlights Audio and mastered at Clintworks Audio (Germany), this new work of the band is an exquisite blend of melody, technical and musical complexity, a fascinating record that nobody should miss! Check out our music and stay tuned for upcoming show dates! 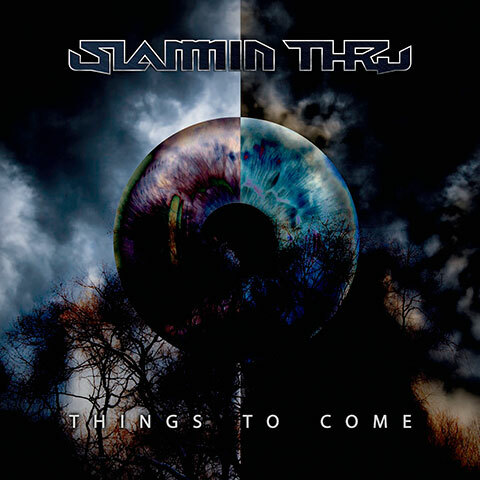 Slammin' Thru is a band formed in A Coruña (Galicia, Spain) at late of 2002 by David (vocals), Alberto (guitar), Óscar (guitar), Guts (bass), Axel (keyboard) and Adrián (drums). The band recorded their first demo in 2005, since then, the group began playing in several venues in Galicia, sometimes sharing the stage with other galician bands of rock and metal. Slammin' Thru has also participated in several Galician festivals such as Ortegal Rock. In 2013 the band record their first EP, Disguised Queen, and that same year, they open the show for Glenn Hughes at Santiago de Compostela. Currently, the band has released their new album Things to come, and they are already composing new songs for the next album. The sound and style of the band is close to progressive rock and metal bands, and gathers the influences of all the members, which go from classic rock, progressive metal, and 80s-90s rock. Buy this album Read about the album! Videoclip of the song Disguised Queen, from the album Things to come (2016).